It's always a privilege to receive a cover from Holger who always uses special stamps and places them perfectly on the envelope.This cover has travelled from Prague with the special commemorative Sberatel postmark. 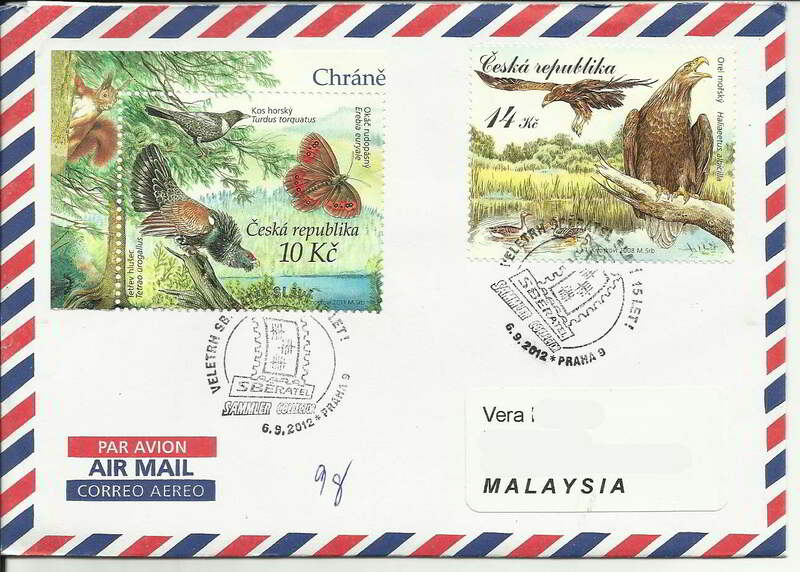 The stamp on the left from the 2011 mini-sheet features a Western Capercallie (Tetrao urogallus) . The White-tailed eagle (Haliaeetus albicilla )is from the 2008 Trebonsko fauna 4v sheetlet .